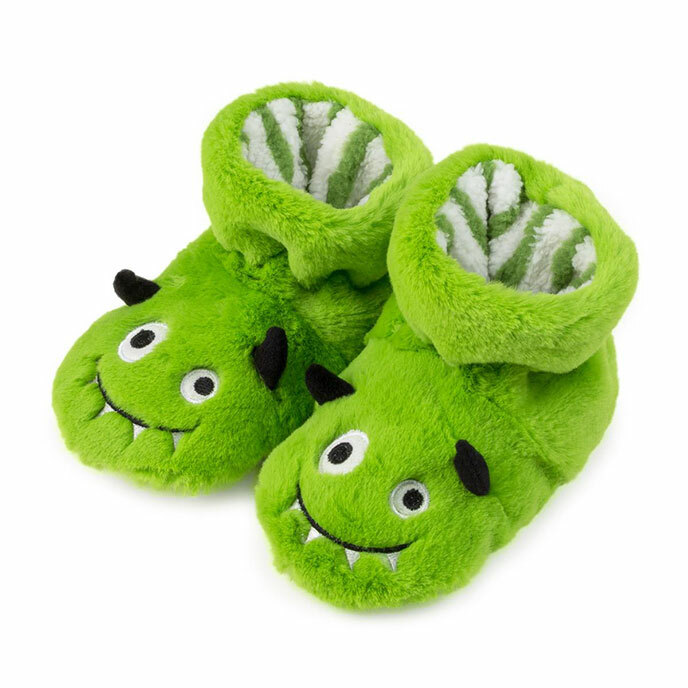 Our new, cute novelty slippers for boys are perfect for the colder months and are complete with a soft, warm lining and slip-resistant tread. Monster - Shell: 100% Polyester / Lining: 100% Polyester. Shark - Shell: 95% Polyester, 5% Elastane / Lining: 100% Polyester. Machine washable at 30 degrees. Wash similar colours together.